So you found a military badge? DetectingScotland.com - Metal Detecting in Scotland, UK » Forum » Detecting Discussions » Military Badges and buttons for ID and show » So you found a military badge? As many will know I collect these wee bits of military history, now as we all know Spink (or Derek lol) is the go to reference if you want to look up a coin find just like ERIC is the go to if we find a Roman coin. 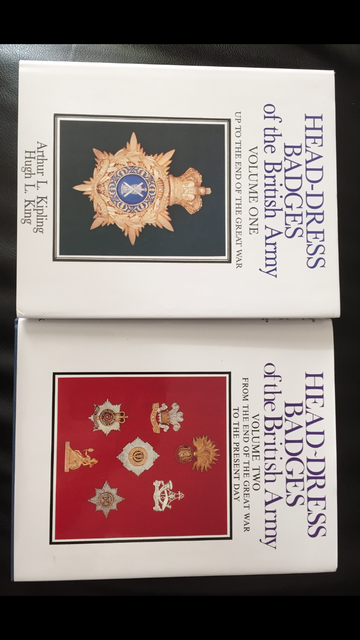 But did you there's a great reference work in two volumes to look up those military badges? Collectors aren't interested in our wrecked ones out of the ground for their collections on the whole but having been around their forums getting info on my more unusual badges I learned of the best book for IDing these and a useful addition to any detectorists library.